Generation Z is about to change the face of the workforce. These new workers don’t remember a world without the internet and smartphones. They’ve witnessed hard times for their parents during the Great Recession. They’re coming of age in the era of #MeToo. And no, they’re not Millennials. The older members of this substantial group — more than 61 million individuals in the U.S. alone, often defined as the generation born between 1996 and 2010 — are now breaking into the labor force and should make up one-fifth of it by 2021. Gen Z brings expectations and aspirations that differ from its Millennial predecessors. While Millennials (also known as Generation Y) have sought work with a purpose, Gen Zers, driven by the fear of experiencing another recession, place a premium on a stable paycheck and a secure job. Shaped also by the #MeToo era, these upcoming workers expect authenticity and transparency from management. And where Millennials eschew linear advancement in favor of their own path of development, this new generation seems eager to pursue an upward route. These and many other distinctions raise key questions for your workplace. The culture you create, the tools (read: tech) you provide and the general environment you establish can go a long way in attracting the best of young workers. 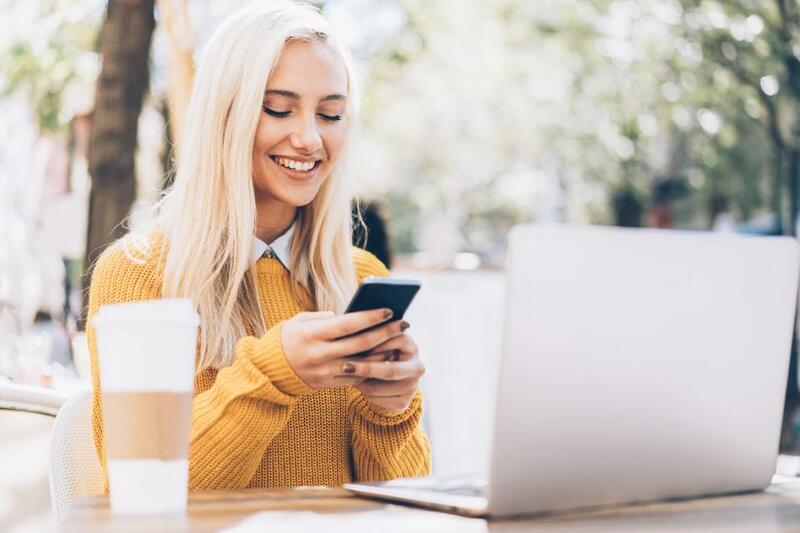 If you want to be well-prepared for the new wave, consider three critical Gen Z traits and how they can help your company evolve. 1. Tinker with your tech. You’re preparing your workplace for the first generation of digital natives. They’re not merely comfortable with technology, they live and breathe it. Yet many managers are still surprisingly oblivious to the fact that their offices aren’t delivering a truly digital environment. As a result, many executives simply remain unaware of current trends in technology and the basic assumptions that digital natives will bring to the workplace — namely, that devices should be connected, and resources shouldn’t be wasted. These presumptions might prompt changes as obvious as going paperless or adding more screens to increase productivity. Or they may lead you to utilize fresh software such as Jamboard for brainstorm sessions or Vidyard for internal communications. Anything that could reduce the friction of getting work done or smooth workflow is fair game for an upgrade. Yes, you’ve already cultivated a collaborative culture for your Millennial teams. You’ve migrated to Slack, knocked down the office walls, and assigned teamwork. But Gen Zers are fiercely independent and competitive, boasting a “do-it-myself” attitude. They’re not afraid to go head-to-head with their teammates to prove their mettle. That’s not to say both workplace attitudes can’t coexist. Beyond initiating contests or other in-house competitions among your staff, technology again provides a creative solution. The recent surge in gamification software offers a unique way to engage this competitive spirit. Used primarily in training programs, the software facilitates competition (and fun) by making training into a game replete with points, badges, and leaderboards. Whatever methods or tools you use, fanning Gen Zers’ competitive flame may prove critical for the workplace of the decades ahead. 3. Design your space to balance the social and the solitary. While these new workers may be competitive, they nonetheless value the chance to be part of a team. In fact, striking the right social-solitary balance in the workspace, along with other aspects of your office’s physical design, is vital to creating a healthy working environment for this up-and-coming cohort. Much has been said about the startlingly high levels of loneliness within Generation Z, which topped the UCLA Loneliness Scale with a score of 48.3 in a recent Cigna study. Still, other research reveals high levels of anxiety and distrust among Gen Zers. Designing a space that encourages collaboration and openness, yet still allows for needed breakaway work, may prove pivotal in their success. Millennials and Gen Zers do share many traits, and your office design can incorporate that common ground. Whether it be incorporating multifunctional furniture, vibrant colors, or plenty of sunlight and plant life into the office space, both generations prefer a thoughtfully designed space that is aesthetically pleasing, not just functional. Over the past two decades, Millennials have clearly reshaped the culture of the modern workplace, but their younger coworkers are poised to reshape it yet again. Enhancing your office’s tech, fostering a culture of healthy competition, and rethinking your workplace design are but a few ways you can invite the unique contributions of Gen Z into your company. Adapting to the new workforce’s expectations sooner rather than later will give your company a competitive edge. What is your organization doing to attract the next generation? William Arruda is the co-founder of CareerBlast and creator of the complete LinkedIn quiz that helps you evaluate your LinkedIn profile and networking strategy.